Watch butterflies take their first flight in the Butterfly House! The Butterfly House at Airlie Gardens is excited to announce Saturday Butterfly Releases starting this Fall! 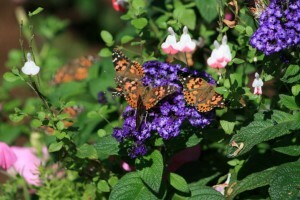 Butterfly releases are FREE for Airlie Gardens Members and with garden admission for all others. Garden admission is $9/adults, $5/New Hanover County Residents and Military, $3/children ages 4-12 and children under 4 are free.